You will find below the horoscope of Bonnie McKee with her interactive chart, an excerpt of her astrological portrait and her planetary dominants. Horoscopes having the same aspect Moon trine Neptune (orb 0°34'): Keanu Reeves, Mahatma Gandhi, Prince (musician), Charlize Theron, Demi Lovato, Tyra Banks, Katie Holmes, Pink (singer), Yannick Noah, Sean Penn, William Shakespeare, Winston Churchill... Find all the celebrities having this aspect. Horoscopes having the same aspect Mercury sextile Mars (orb 0°45'): Beyoncé Knowles, Diana, Princess of Wales, Sharon Stone, Jay-Z, Sandra Bullock, Bill Clinton, Sean Penn, Edgar Cayce, Ylenia Carrisi, Anthony Hopkins, Kesha (singer), Louis de Funès... Find all the celebrities having this aspect. Celebrities clicked on in real-time: 576,220,341 times. Bonnie Leigh McKee (born January 20, 1984 à Fairfield, Californie (birth time source: Viktor E., Astrodatabank, birth certificate)) is an award-winning American singer, songwriter, and actress. Named Rolling Stone Magazine's "Best Secret Weapon" in 2011, Mckee has co-written eight #1 singles, that have sold more than 25 million copies worldwide. She teamed up with pop superstar Katy Perry to co-write the hits "California Gurls," "Teenage Dream," "Last Friday Night (T.G.I.F. )," "Part of Me," and "Wide Awake." McKee also co-wrote "Dynamite" by Taio Cruz, which became the second best-selling song by a British artist in the digital era. Throughout her career as a songwriter, Bonnie McKee has collaborated with Britney Spears, Christina Aguilera, Kesha, Kylie Minogue, Avril Lavigne, Kelly Clarkson, Carly Rae Jepsen, Leona Lewis, Adam Lambert, Max Martin, Dr. Here are some character traits from Bonnie McKee's birth chart. This description is far from being comprehensive but it can shed light on his/her personality, which is still interesting for professional astrologers or astrology lovers. 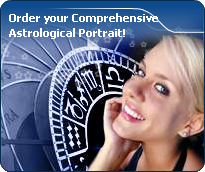 In a matter of minutes, you can get at your email address your astrological portrait (approximately 32 pages), a much more comprehensive report than this portrait of Bonnie McKee. Bonnie McKee, the diurnal South-eastern quadrant, consisting of the 10th, 11th and 12th houses, prevails in your chart: assertion and goals achievement are at the centre of your concerns. You are very keen to implement your dreams and your plans. You achieve your ambitions as soon as possible, whether through an active social life, highly charged friendly relations, or an urge to take actions in order to reap - in the eyes of the world, of course - the rewards of your dynamism. It is likely that spirituality or humanitarian actions are part of your motivations, sometimes at the price of some degree of isolation. Bonnie McKee, Fire is dominant in your natal chart and endows you with intuition, energy, courage, self-confidence, and enthusiasm! You are inclined to be passionate, you assert your willpower, you move forward, and come hell or high water, you achieve your dreams and your goals. The relative weakness of this element is the difficulty to step back or a kind of boldness that may prompt you to do foolish things. Like the majority of Earth signs, Bonnie McKee, you are efficient, concrete and not too emotional. What matters to you is what you see: you judge the tree by its fruits. Your ideas keep changing, words disappear, but actions and their consequences are visible and remain. Express your sensitivity, even if it means revealing your vulnerability. Emotions, energy and communication must not be neglected; concrete action is meaningless if it is not justified by your heart, your intellect or your enthusiasm. Your angular houses, namely, the 1st, 4th, 7th and 10th houses, are very emphasized in your chart, Bonnie McKee: according to the Tradition, they are the strongest and most dynamic houses. Should the rest of your chart concur, angular houses suggest that you are an enterprising, energetic and assertive woman. Indeed, angular houses are said to generate impulsions and to give a powerful and domineering personality. After this paragraph about dominant planets, of Bonnie McKee, here are the character traits that you must read more carefully than the previous texts since they are very specific: the texts about dominant planets only give background information about the personality and remain quite general: they emphasize or, on the contrary, mitigate different particularities or facets of a personality. A human being is a complex whole and only bodies of texts can attempt to successfully figure out all the finer points. You need to concentrate on a subject, Bonnie McKee, to deepen your research and to follow your reasoning through with persistence and determination. You are the very type of the thinker who needs time and isolation to meditate at length and allow her serious, methodical and rigorous mind to show its worth. Your feet are firmly planted on the ground and to get your attention, ideas must be followed by implementation, for instance as in the case of mathematics applied to physics. You focus on the essential and you look at the world around you with clear-sightedness. You are not very talkative and you act with caution. You may come across as cold and ambitious even though your comments are always sincere and practical. However, be careful not to isolate yourself and to appear as a lofty and intolerant person. On the affective plane, Bonnie McKee, you are open, straightforward, spontaneous and you make friends easily because your enthusiasm is expressed jovially, directly and is respectful of well-established moral values. In some cases, you may be opposed to your natal environment or to your family because of your taste for freedom, exoticism or all forms of independence and emancipation. Your feelings are burning and you often get carried away quickly. However, your ability to make friends easily is likely to favour some instability; in order words, faithfulness is not your top priority as long as you have not yet found your soul mate. Ideally, for you, life together must have some degree of mobility and include travels and fresh air. Within your relationship, you need to feel freedom and independence, which you need since your childhood. Under such conditions, harmony and faithfulness can be achieved. The ruler of the Ascendant, Bonnie McKee, is Uranus. It is posited in the sign of Sagittarius and gives you a strong inclination for the open sea and for freedom. Loyal and benevolent, you put things into perspective, and you understand the true value of things, perhaps precisely because you travel - whether actually or mentally - and that stepping back from your intimate environment enables you to better perceive what is important and worthy. Your iron will is part of your assets, Bonnie McKee. It is supported by an ingenuity and a skilfulness that may turn you into a mighty and feared personality. You have the knack of spotting weaknesses in persons you deal with and you can easily hurt them with your innate propensity to drill or to test their force. You are extremely stubborn and you never let go when you are convinced that you are right. Sexually, you are potent and passionate. You are domineering and secretive, with a magnetic personality. It is safer to avoid being taken in a conflict with you because you may be very aggressive and you bear grudges. In some cases, you may also be sadistic. Your personality is as secretive as it is domineering in the areas of action and sexuality. This text is only an excerpt from of Bonnie McKee's portrait. We hope that it will arouse your curiosity, and that it will prompt you to deepen your knowledge of astrology, as well as to visit and use the wide range of free applications at www.astrotheme.com.